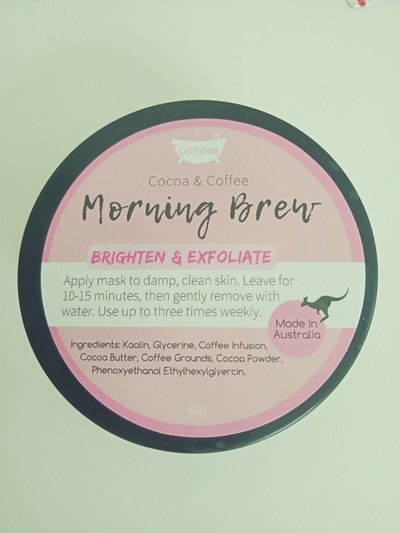 This face mask contains ground coffee, which gently exfoliates when you apply it. It smells strongly of coffee, with a hint of chocolate. It's not as moisturising as the Love Affair mask, but I liked that it's a gentle face scrub as well as a mask. Best to keep it in the fridge if you live in a hot climate, as it will last longer and be soothing and cool to apply. This mask is one for coffee lovers.